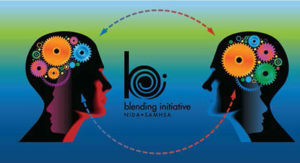 NIDA Blending Packages | The Danya Institute Inc. The NIDA-SAMHSA Blending Initiative was developed to harness the skills, resources, and knowledge of two federal agencies, to facilitate moving important scientific findings into mainstream addiction treatment practice. Developed in 2001 by the National Institute on Drug Abuse (NIDA) and the SAMHSA’s Center for Substance Abuse Treatment, this project is designed to meld science and practice together to improve substance use disorder treatment and accelerate the dissemination of research-based drug abuse treatment findings into community-based practice.